Purple Mattress Review - Hyper Elastic Polymer for Comfort and Support? Purple is one of the biggest names in the bed-in-a-box market, and they are unique in that they use a hyper-elastic polymer to make up the comfort layer of the mattress, forming a unique grid pattern. It’s an interesting material and design to use in a mattress, and I’m interested to see how the Purple feels and performs. Want to learn more about the Purple mattress? Read on for my full review! Short on time? No problem. Click here to jump on down to the review summary. What Is a Purple Mattress? A Purple mattress is a popular mattress made with a hyper-elastic polymer said to provide a “just right” feeling. Engineering brothers Tony and Terry Pearce started in comfort materials in the early 1990s by creating Floam, which was used in cushioning for wheelchairs and other medical equipment (and went on to become a popular toy for children). From here, the Pearce brothers started Purple to use a new hyper-elastic polymer they’d created in mattresses. 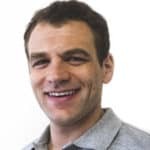 Since then, Purple has been one of the fastest growing companies in the mattress industry, using memorable marketing that includes Goldilocks and dropping raw eggs on the mattress to show the pressure-relieving abilities of the material. What Is a Purple Mattress Made of? 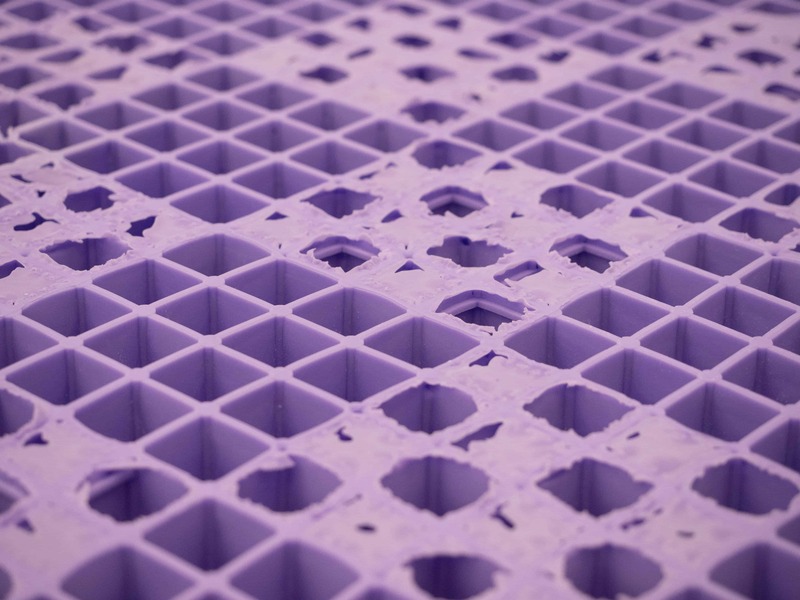 The Purple mattress’s unique comfort layer is made of hyper-elastic polymer that is formed into a grid structure. I’m interested to see how this material and design affect the feel of the mattress and what type of support and pressure relief it can provide. The cover is a blend of polyester, viscose, and Lycra. It’s a soft, breathable material that is pretty thin to allow airflow into the mattress. Lycra is a stretchy material, often found in athletic clothing, and helps with temperature regulation by wicking moisture away from the body. The comfort layer is made of the hyper-elastic polymer described earlier. 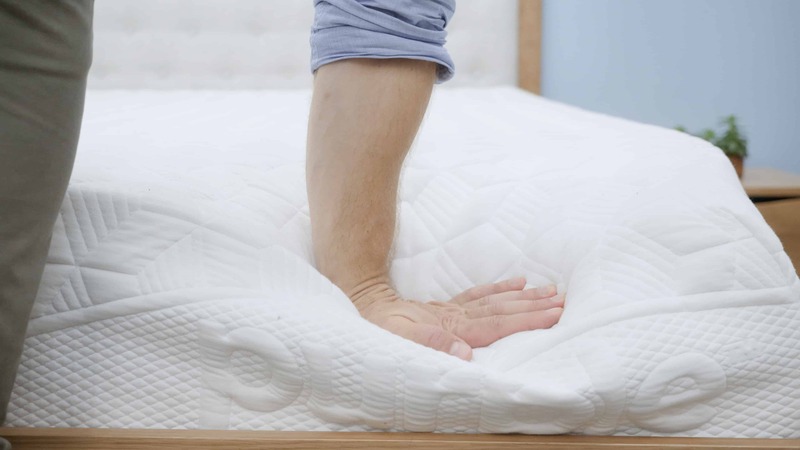 This layer of the mattress is 2 inches tall and responds quickly to pressure, giving the mattress some bounce, which will allow you to change positions on the mattress without interference. The layer is set up in a grid structure to help with weight distribution and pressure relief. The grid structure creates columns of polymer that are supportive until a certain threshold of pressure is reached. Once that threshold is reached, the column releases to allow that area to sink in, providing pressure relief. The weight is then distributed across the grid, meaning the hyper-elastic polymer is able to give where there is increased pressure while still being supportive overall to avoid the formation of pressure points. This formation also creates air pockets in the comfort layer of the mattress to help defend against overheating while sleeping. 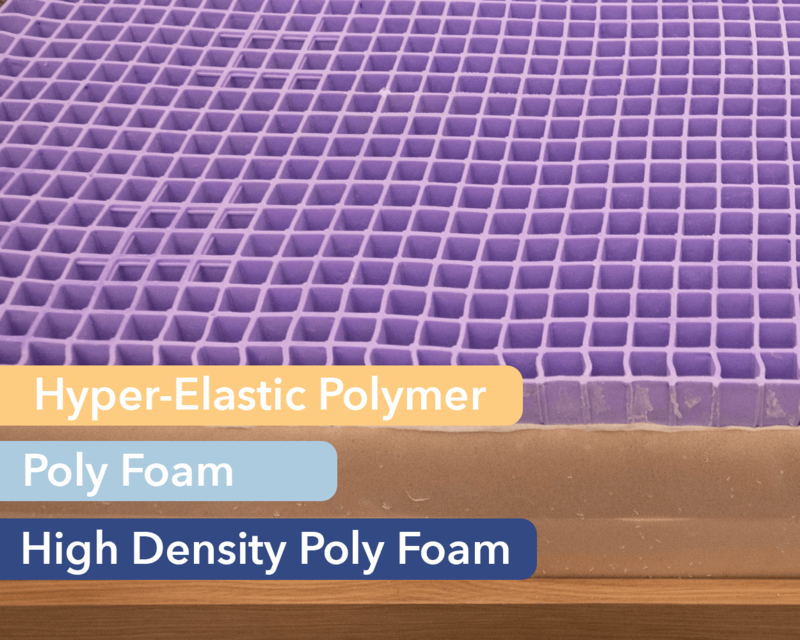 The middle layer of the Purple is 3.25 inches of poly foam with a 1.8-pound density and acts to provide some compression support for the mattress. This layer is also meant to transition the sleeper from the comfort layer on top to the base of the mattress. The base of the mattress is 4 inches of poly foam with a 2-pound density. This firm layer acts as the foundational support of the mattress and gives the structure its shape. Worried about sleeping hot? Check out my best cooling mattress picks. When pressing into the top of the mattress, the initial feel is of the hyper-elastic polymer. It is very bouncy and responds quickly to pressure. After adding more weight and force to my push into the mattress, I do start to feel the transition layer of foam beneath, but the polymer grid on top does a good job of weight distribution, so most of the feel comes from the comfort layer. When discussing the firmness of a mattress, it’s important to note that people will often feel it a bit differently because of differences in size and body type. Instead of just giving my opinion on the firmness level, I brought in three other testers to try the Purple as well. This should give a better sense of the firmness range you can expect out of the Purple. 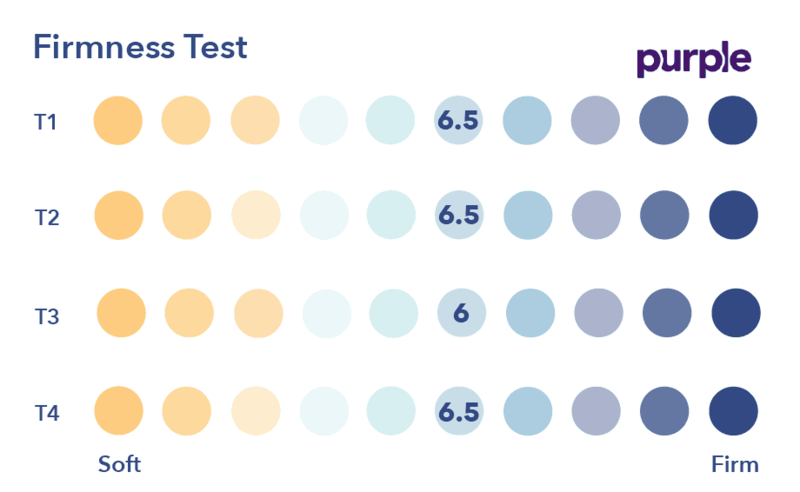 As you can see from the chart above, the testers were in general agreement regarding the firmness level of the Purple. With three 6.5/10 ratings and one 6/10, we all felt that the Purple falls squarely in the medium firmness level. Purple says that their grid structure distributes weight efficiently so that it is firm or soft where it needs to be, creating a “just right” feeling that goes along with its Goldilocks marketing. One thing to note about the Purple grid is that if you are extremely light, you may not reach the pressure threshold to collapse the polymer columns. This would lead you to feel the mattress as a bit on the firm side. Purple uses a raw egg test to show that their polymer is firm enough to support heavy weights while still soft enough to sink where it needs to (so that the eggs won’t break). This translates a bit of a contoured feel when lying on the mattress, allowing your shoulders and hips to sink in while still being supportive for the other parts of the body. When I was lying on the mattress, I noticed its ability to distribute weight evenly, helping to avoid the formation of pressure points. The Purple supported my weight in multiple positions well while still allowing me to sink in enough for some good pressure relief. Instead of just describing the feel of a Purple mattress, I wanted to give a visual representation of where someone may feel pressure points form while lying on it. To do this, I placed a pressure map on top of the mattress and lay on my back, side, and stomach. On the image below, pressure will be represented from blue (low pressure) to red (high pressure). You can see in the results that when I was lying on my back, the Purple evenly distributed my weight to create low pressure across my body. This helps show that the grid structure of the comfort layer does work to transfer weight along the surface of the mattress. I should also mention that I felt more on top of the mattress rather than sinking into it. This feeling of being on top of the mattress, along with the quick response to pressure by the polymer, allowed me to adjust positions without interference. Once I rolled onto my side, the pressure map again shows low pressure across my body. There is a slight increase in pressure at the hips due to the increased weight concentration in this position, but it is still relatively low. Side sleepers will often feel pressure points form at the shoulders and hips, but the Purple did a good job of allowing those areas to push further into the mattress for relief, while still supporting my body as a whole. The pressure results from the side position on the Purple are some of the best I have seen when performing reviews. I would say that this is definitely a plus for side sleepers. Finally, on my stomach, my weight is again evenly distributed. Stomach sleepers will want to check that a mattress is keeping their hips from sinking in, which would cause their backs to be in a bad position. I found that the Purple did a good job of keeping my spine aligned while I was on my stomach. I would also like to point out that the low pressure across my chest meant it was easy to breathe in this position. If you plan on sharing your bed with a partner, you will want to know what it will feel like when someone else is tossing and turning or gets into and out of bed during the night. This next test is a helpful way of showing the intensity of motion that is detectable from one side of the mattress to the other. For this test, I dropped a 10-pound steel ball from heights of 4 inches, 8 inches, and 12 inches and measured the disturbance on the other side of the mattress. This should be pretty intuitive: The bigger the lines, the bigger the disturbance. The 4-inch drop on the Purple produced a small disturbance on the other side of the bed. This drop is meant to simulate someone rolling around in bed, and as you can see above, there is a small spike in transferred motion, but it quickly dissipates. 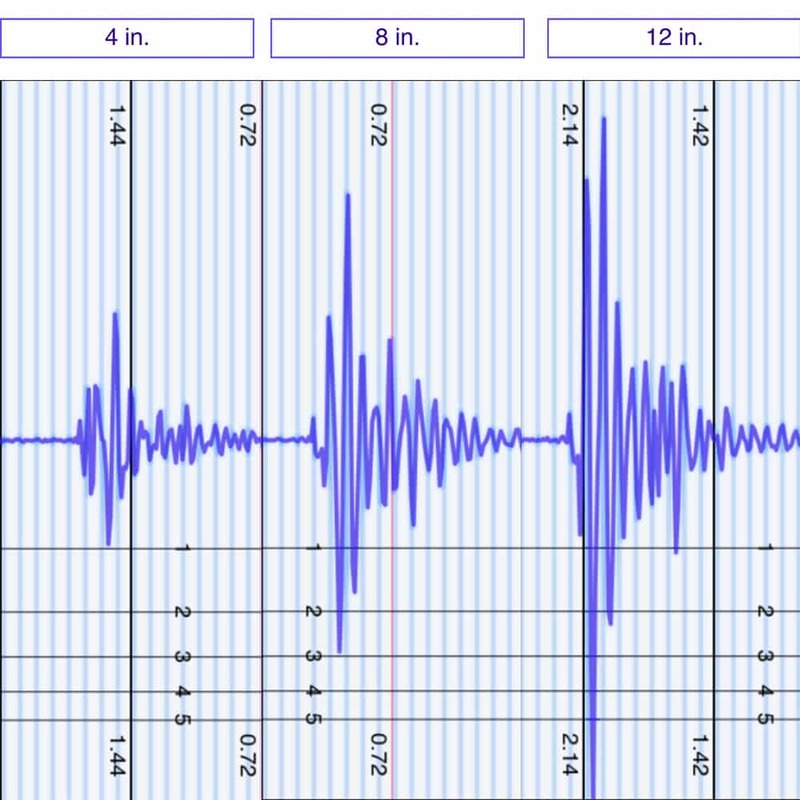 The 8- and 12-inch drops on the mattress simulate someone getting into or out of bed, and there were larger disturbances, but these are about average results when compared to foam beds that I have tested. In order to get a good idea of how someone might sink into a Purple, I placed four balls of varying sizes and densities (a 6-pound medicine ball, a 10-pound steel ball, a 50-pound medicine ball, and a 100-pound medicine ball) on the mattress to measure how much they compress the surface. 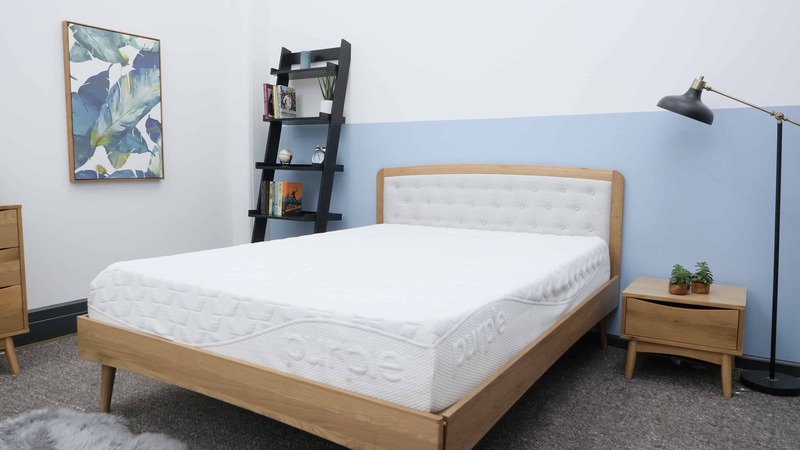 If you plan on sharing your bed with a partner and need to use the entire surface area of the mattress, then edge support is something you are going to want to take a look at. The ability of a mattress to support weight evenly near the side of the bed is what will keep you from feeling like you are going to roll out of bed. Because of the unique material used in the comfort layer, I was interested to see how the Purple performed on this test. I started this test by lying on my back near the side of the mattress, and as you can see above, the Purple does a good job of supporting me even by the edge. I felt that there was a pretty even feel from the center of the bed to the side, and it didn’t feel as though I would fall out of bed when I rolled around and changed positions. On my side, there is a little bit of compression, as the Purple allows my shoulders and hips to sink into the mattress for pressure relief, but I felt secure in this position. I should also mention that when I turned around and hung off the bed a bit, I did see a small amount of compression but still felt secure on the mattress. By sitting up on the edge of the mattress, I concentrate all of my weight over one area. This simulates putting my shoes on in the morning or getting into bed at night, and again, I see some compression, which is pretty common among the foam or bed-in-a-box mattresses on the market. 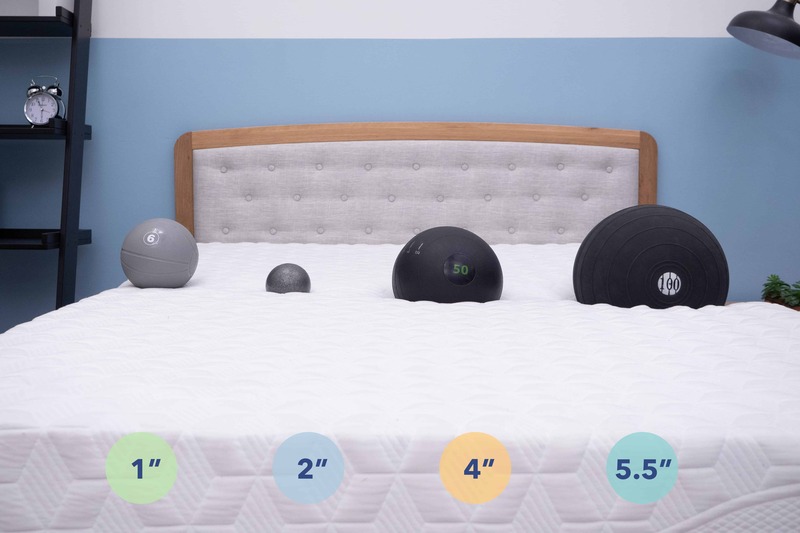 This may not be the most important position when looking to purchase a mattress, but it does a good job of showing how the mattress will perform when a large amount of weight is placed in one location on the edge. Sleep Trial: There is a 100-night trial for this mattress. Warranty: Purple offers a 10-year warranty. Convinced the Purple is for you? Be sure to click here to head over to Purple to make your purchase. *Please note that full-size purple mattresses are not available at this time. Stay up to date with discounts on my Purple coupon page. Is the Purple Mattress right for you? 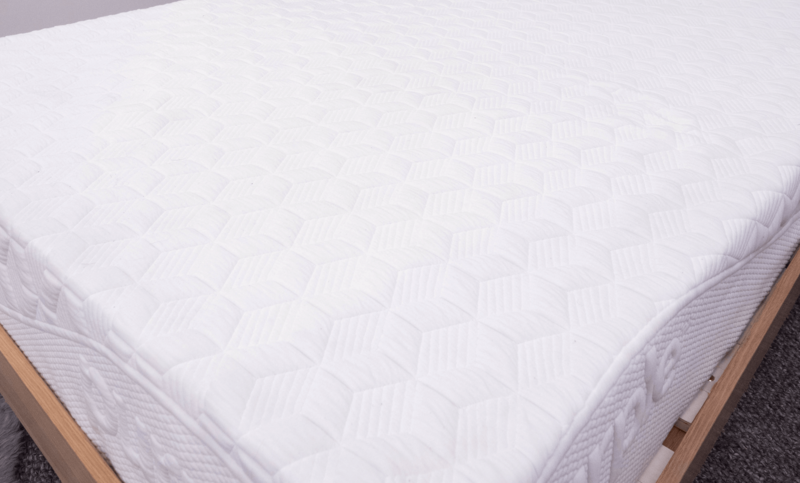 Want pressure relief with support: The polymer grid structure in the comfort layer of the mattress does a good job of distributing weight evenly to relieve pressure while still supporting your body to keep your back in a good position. 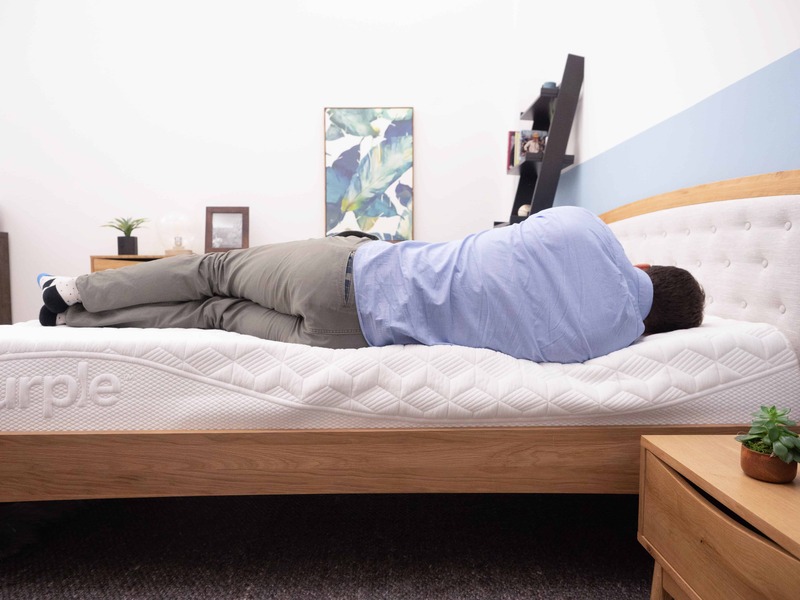 Worry about sleeping too hot: The grid structure on top creates air pockets in the mattress to help you sleep cooler and combines with the thin, breathable cover to provide a temperature-neutral feel. Want a mattress with some bounce: The hyper-elastic polymer on top responds quickly to pressure. This will allow you to move around on the mattress and change positions without interference. 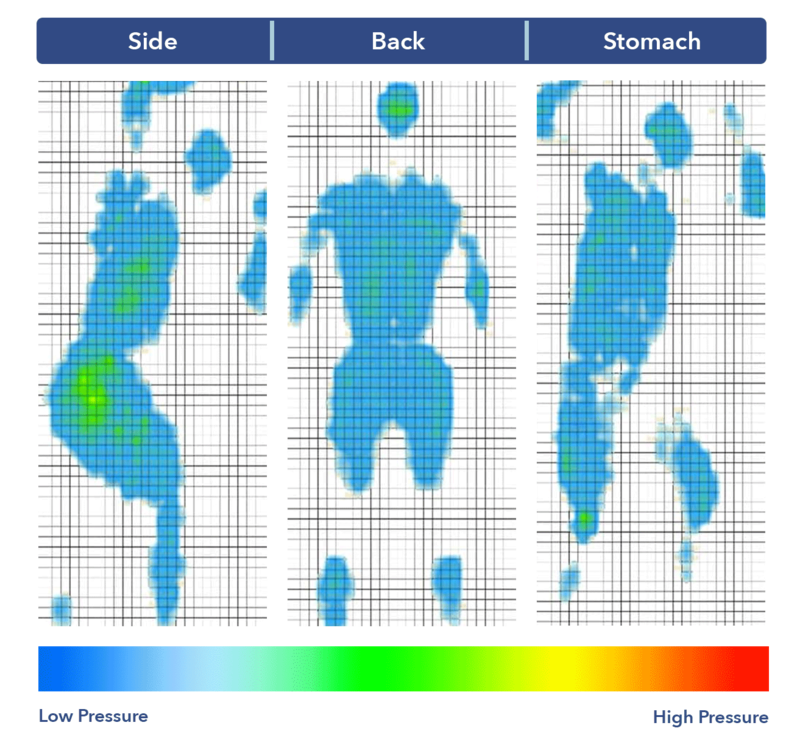 Are side sleepers: The pressure map showed extremely low pressure across my body in all positions, but especially of note was on my side. Side sleepers need to take note of pressure points at the hips and shoulders, as they have increased weight concentration, and Purple performed very well on this test. Looking for a little more on the Purple mattress? 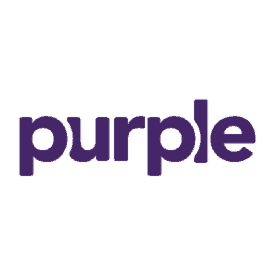 Visit Purple.com. Among an industry full of foam, hybrid, and innerspring mattresses, Purple’s construction certainly stands out. Purple gets its name from the color of their advanced hyperelastic polymer grid in the comfort layer, which provides a unique blend of pressure relief and support. 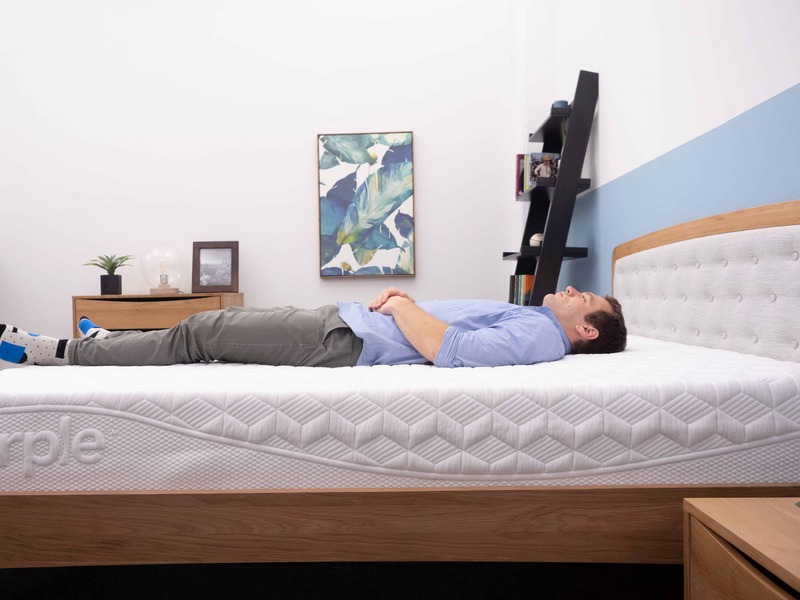 The company also markets their mattresses as being “Temperature Neutral,” which is helped by the open design of the polymer grid that sits just underneath the cover.